Brandkit Super Accounts, why, how. 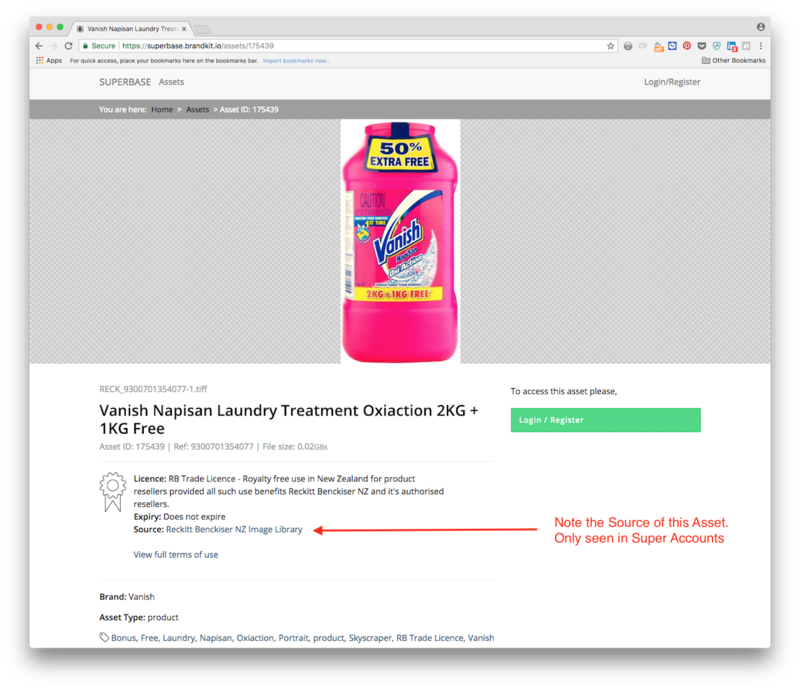 A Super Account is an Brandkit Account that can pull Assets dynamically from another Brandkit Account. This is useful when you want to create a second Portal for a subset of users, or to aggregate assets from a number of Brandkit accounts, creating an Aggregated Super Account. Using Super Accounts it's possible to create a second, third, fourth etc Portal from the same source Account. This is useful if for example you have a sub brand or campaign that you wish to segregate from other content, so that Users only see the intended sub brands. This is useful if you have users that want to access Assets across suppliers (Brandkit accounts) with a single login, with a unified search, unified basket and reporting, etc. SuperBase! 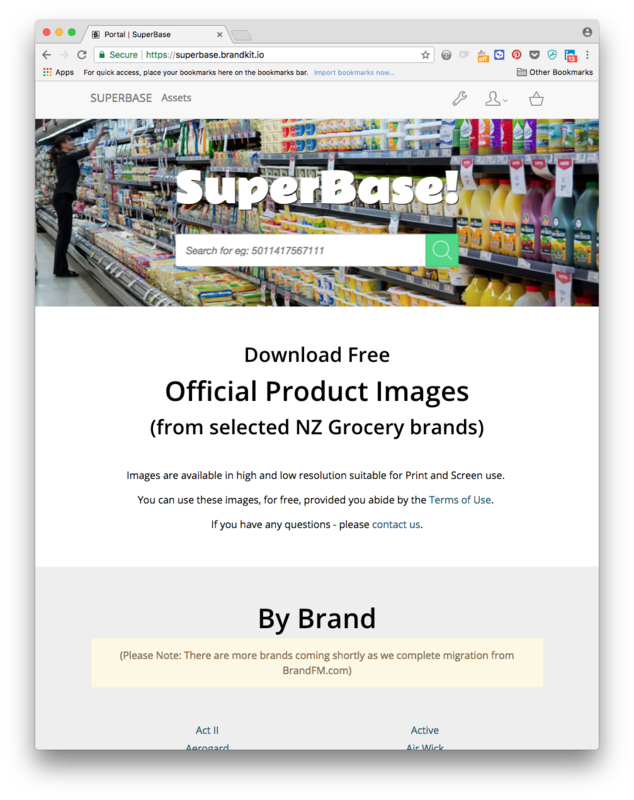 is an aggregated account for the Grocery market in New Zealand, where several Supermarket vendors have product images for advertising, aggregated in a single Super Account for Supermarket retailers to access. Above is the original Asset uploaded in the Primary Brandkit account. Above is the same Asset shown in the Super Account. Note the Primary Account Source is shown as a link. How do Super Accounts Work? There is a Primary Account which is a normal Brandkit account and is where you upload and manage your Assets in the normal way. In the Primary account you configure Asset Licences and Brands to be available in a Super Account. There is a Super Account - which is the account that pulls Assets from the Primary Account based on a particular Licence. Generally you do not use this account to upload, manage assets. In the Super Account we nominate Brandkit Accounts to pull from (configured by Brandkit Support). Super Accounts are designed for consumption of assets only. That is you would upload and organise assets in the Primary Account and a subset of those assets will be available in the Super Account for download, etc. The Super Account will have it's own set of Users, it's own Roles, custom pages, emails templates, etc. Manage all your Assets in one place (one account). Additional costs of customising another account (the Super Account). There is an additional subscription for the Super Account (although as it's storing no Assets - the base plan will generally cover it). You may need an additional custom domain setup and there may be additional associated fee if you need a vanity URL. The Watermark applied will be the Watermark for the Primary Account. It's not possible to have a different watermark for the Super Account for assets from the Primary Account. Some standard Reports won't be available in the Super Account. 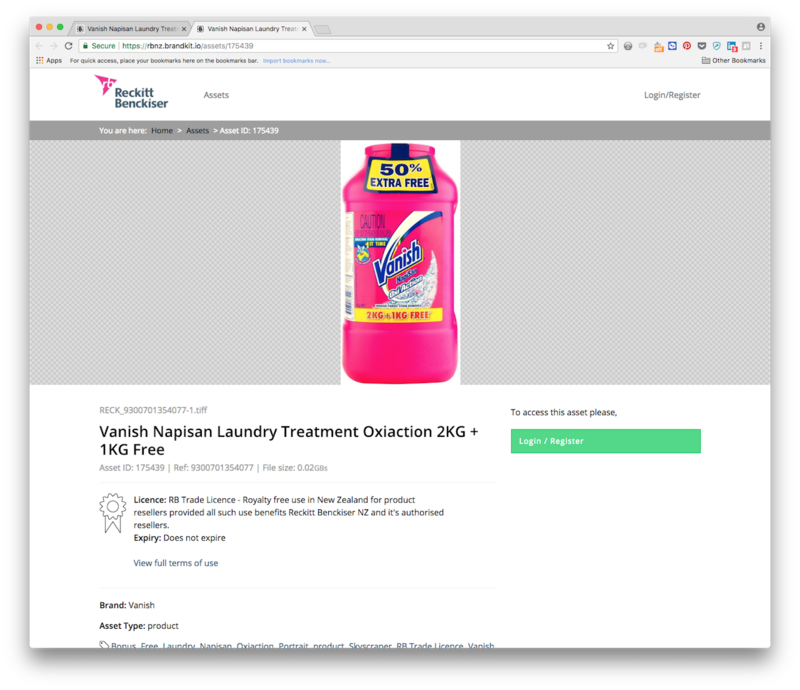 Please contact Brandkit Support or your Account Manager for more information.